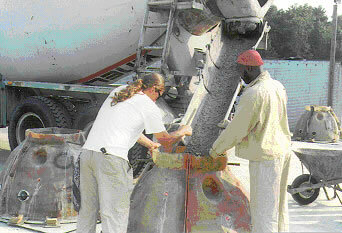 Seven hundred reef balls have been constructed at Southern State Correctional Facility at Delmont and are ready for deployment on August 17, 2006 (POSTPONED - DEPLOYED ON AUGUST 23), at the Townsends Inlet Reef Site located 3.8 miles southeast of Townsends Inlet, as part of the division's Artificial Reef Program. The reef balls will soon be homes for more than 150 species of fish and marine life. 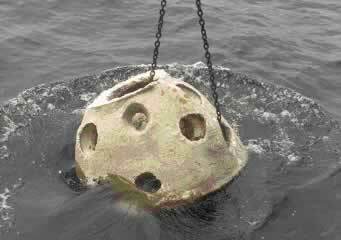 The 700 reef balls will be deployed at the inshore drift-fishing portion of the reef. The deployment date is subject to weather and sea conditions. For further information on this deployment contact Hugh Carberry at 609-748-2022.